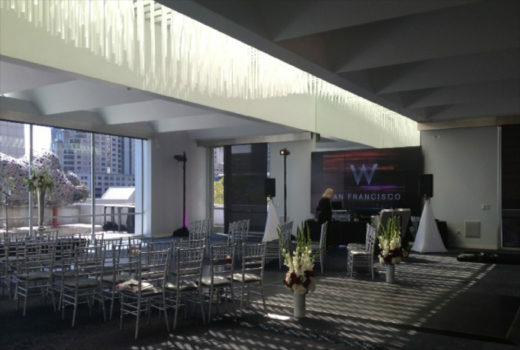 The FIT® Gym at the W Hotel San Francisco creates a dynamic experience for hotel guests, infusing the workout with vibrant energy. 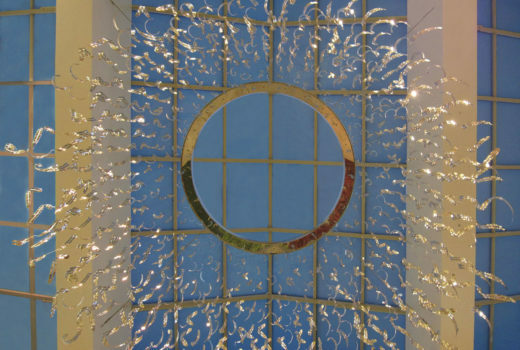 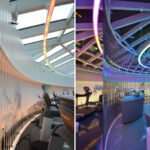 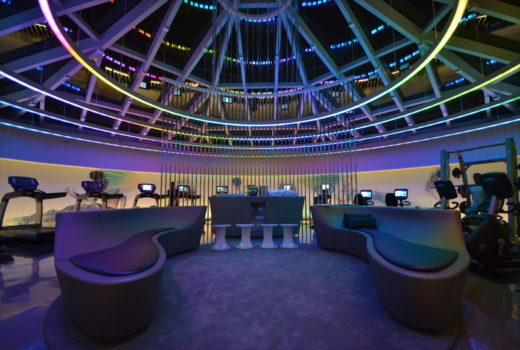 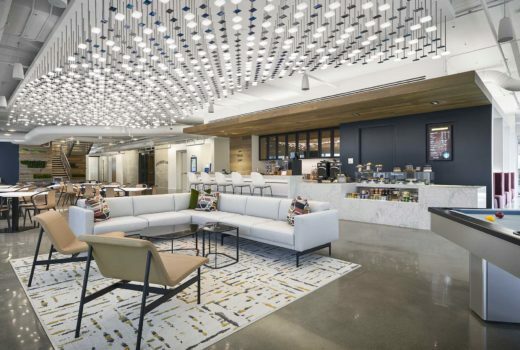 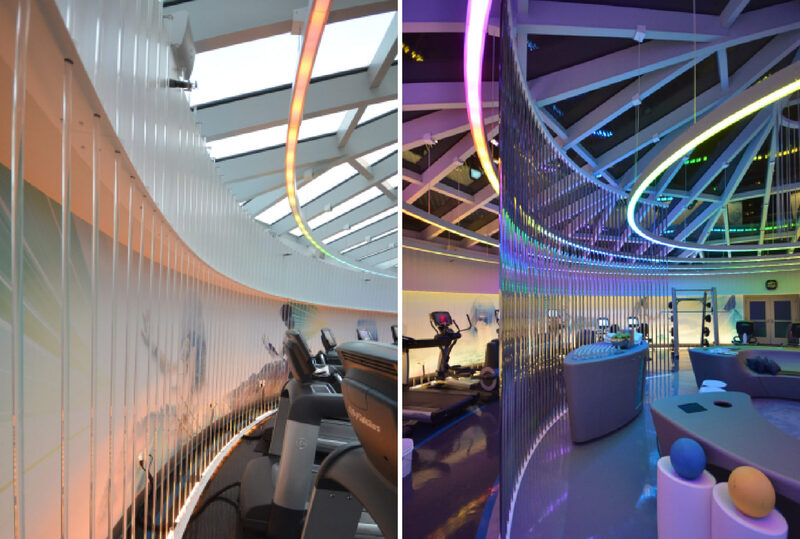 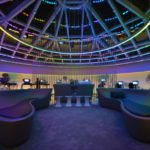 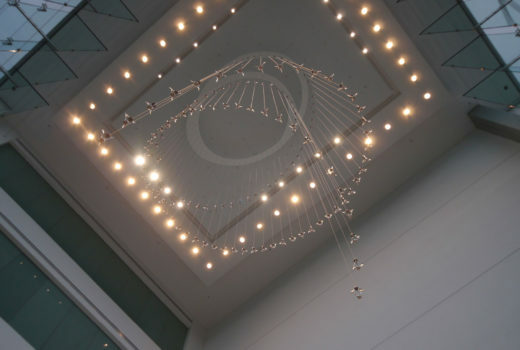 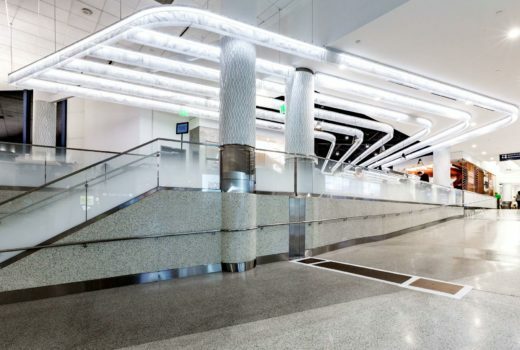 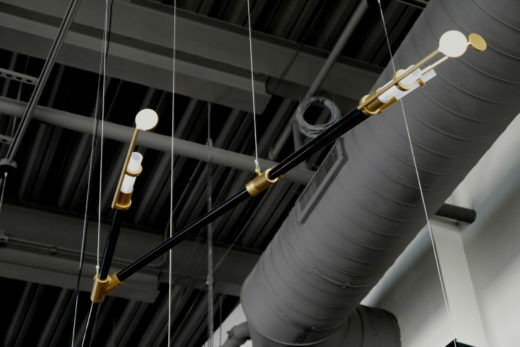 To complement the dramatic skylights that dominate the space, Arktura fabricated a series of concentric rings housing color-changing LEDs, along with radial arrays of mirror polished tubes and translucent acrylic rods. 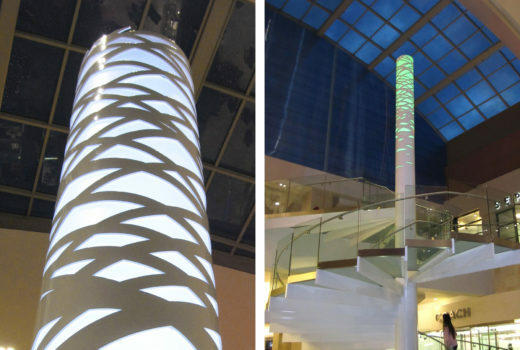 Together, the design elements create illusions through reflection, light, color and depth, and change their visual emphasis as daylight gives way to night.